Updated Maestro rear suspension features a trunnion mount shock with a longer stroke and smoother feel. 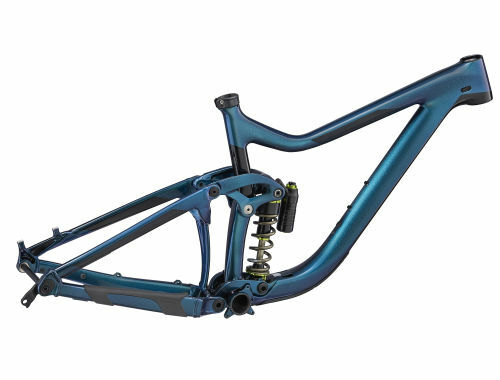 With 160mm of travel (and 170mm up front), it has the new Advanced Forged Composite upper rocker arm for increased stiffness and strength plus lower overall frame weight. High-performance grade raw carbon fiber and custom resin is used to produce this highquality frame in Giant’s own composite factory. Handcrafted monocoque construction makes it extremely lightweight, stiff and compliant. 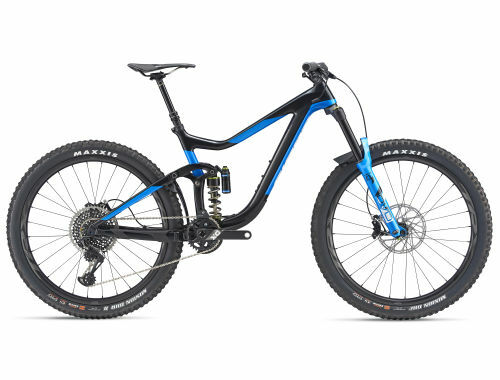 Updated “long and low” enduro frame geometry with 65/73 headtube/seattube anglesfor aggressive enduro handling, is tailored for 27.5-inch wheels to optimize handling and stability.